There's something timeless in the classic look of this card. I'm not sure whether its the clean and simple look or the imagery or the contrast of colors. 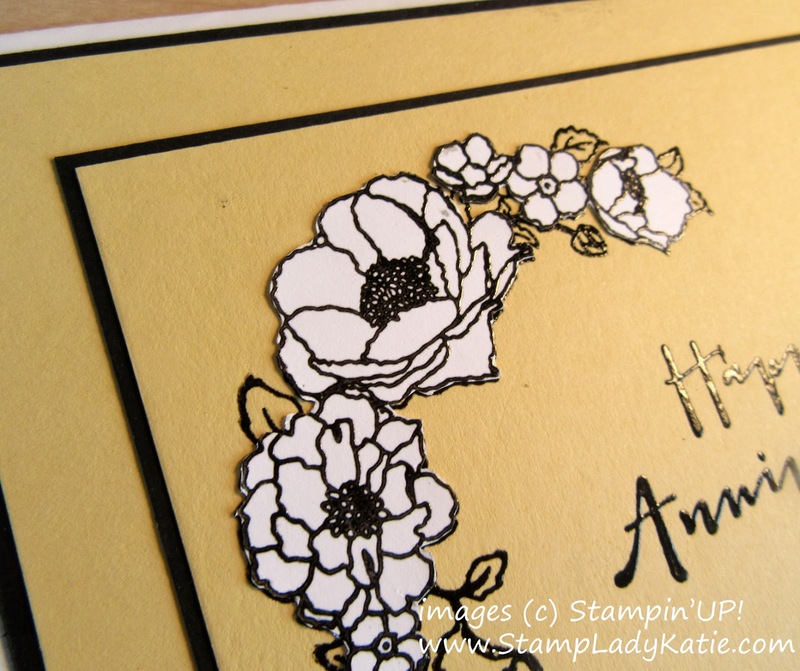 One thing that helps with the contrast on this card is that I heat embossed both the flowers and the sentiment. 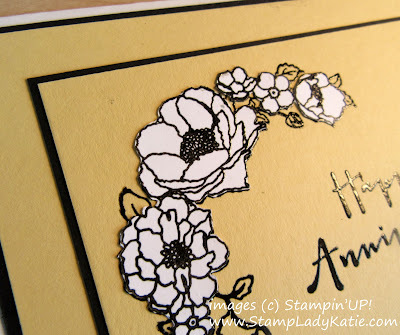 The heat embossing adds a shine and really helps it "pop" off the page. But the real trick on this card to get the intense color contrast between the white flowers and the Saffron background is the fussy cutting. I stamped the image on both the saffron card front and on a separate piece of white card stock. Then I fussy cut the white flowers and glued them onto the saffron piece. Click here if you want to see another similar fussy cut card this one has white calla lilies on a blue base. Fussy cutting takes a little time, but wow, sometimes is just so worth it. 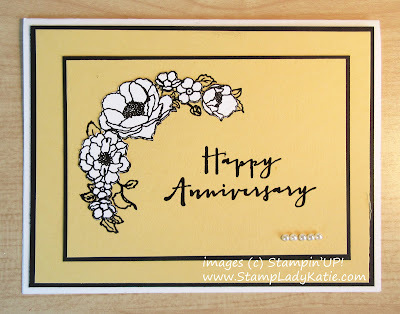 I especially liked the arch of the flower spray from the Timeless Love stamp set (see product list below) and are you like me and totally loving this font! If you're inspired to try this here's the product list for this card.